Donate your prom dress–– new and gently-used formal dresses will be distributed in the spring for girls to wear to their high school proms/formals. Donate your time — volunteer to help organize inventory or with any upcoming events. Donate any brand-new clothing –– if you (or your sister) bought girls and women’s clothing that haven’t been worn — or if you’d like to purchase an item especially for the charity — then you can do so and mail in the item(s). 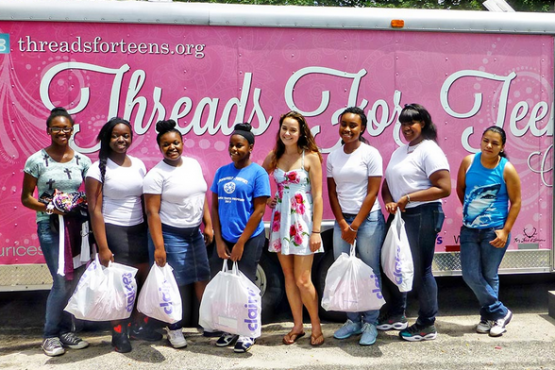 You can also host a drive for brand-new clothing at your school — how fun would that be! Spread the word — use social media to raise awareness about this great cause. I think it’s important to do for girls! Most girls go through hard times so it is great to give them something to look forward to. Yes she is doing a great thing!!!!!! !